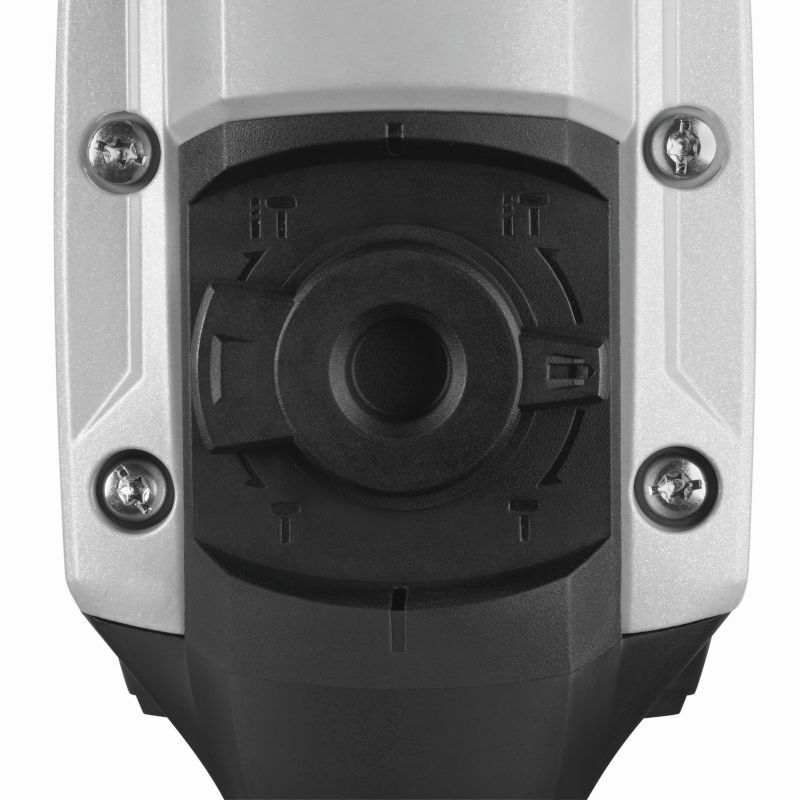 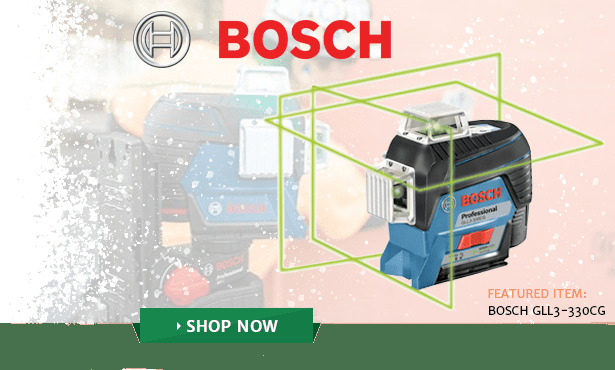 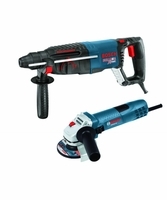 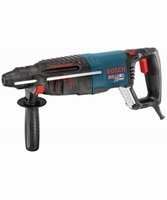 The Bosch RH540M 1-9/16 In. 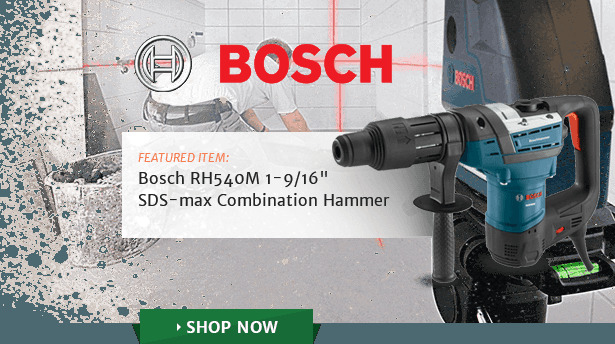 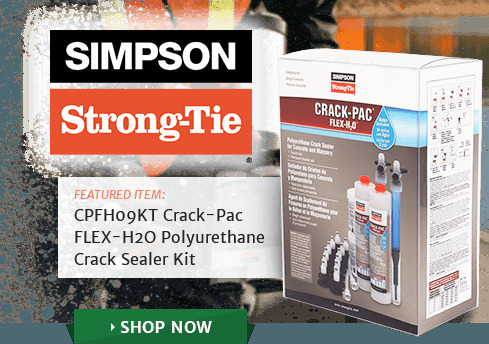 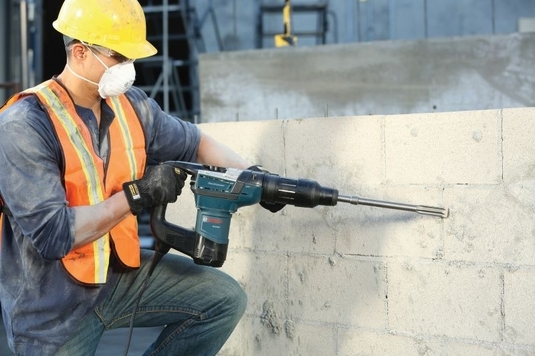 SDS-max Combination Hammer is a combo rotary hammer and hammer-only tool designed for concrete contractors and professional remodelers who need a powerful and versatile tool. 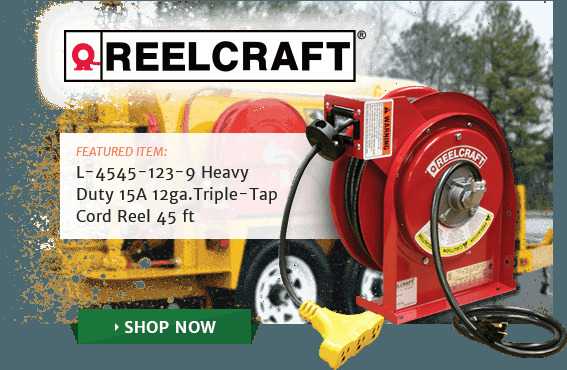 It delivers 6.1 Ft.-Lbs. of impact energy while weighing in at only 15.2 Lbs. 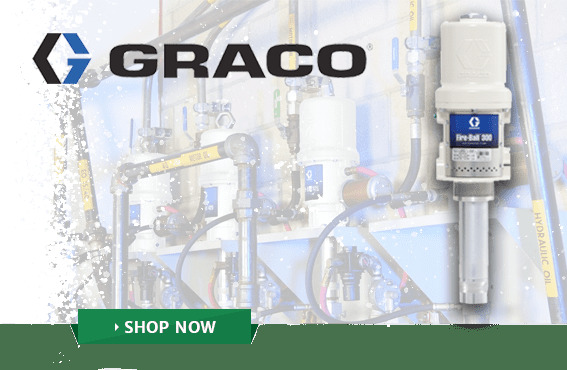 The motor is rated at 170 to 340 RPM in rotary mode and 1,200 to 2,750 BPM in hammer mode, which will easily reduce concrete to dust. 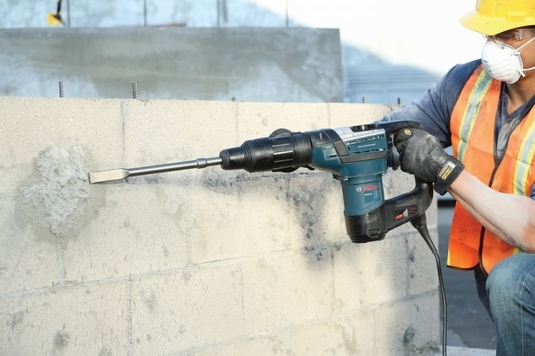 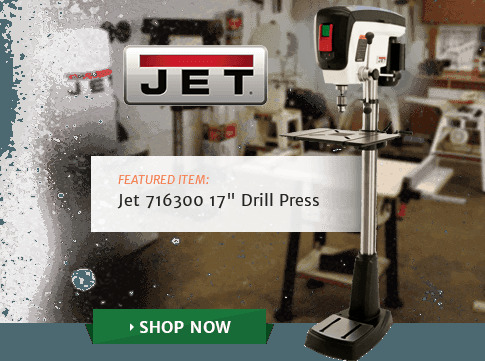 Its SDS-max bit system allows tool-free and one-handed bit changes. The Vario-Lock mechanism lets users angle the chisel into 12 different positions to optimize the working angle. 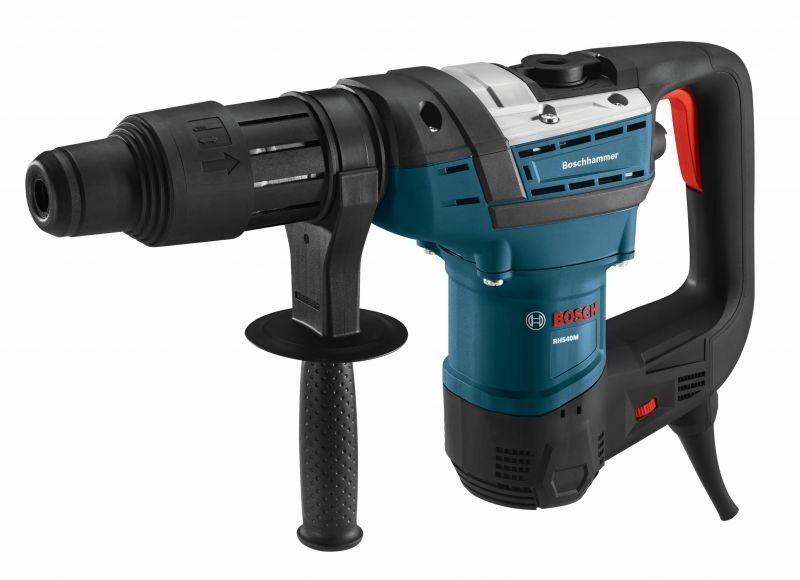 The hammer has a Dual Mode Selector Knob and service minder brushes, which clearly indicate when preventive maintenance is required.